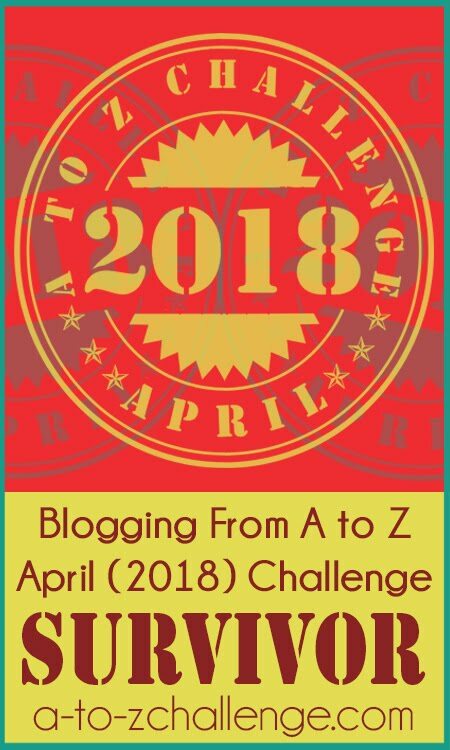 One of the best ways for The Blogging from A to Z April Challenge to take over the world grow is for our amazing participants to tell other people about the Challenge! We do try to spread the word ourselves, through our many social media outlets, but there is nothing quite like 'Word of Mouth' advertising. Have you considered telling someone about The Challenge? A friend, a Browncoat, a neighbor, or a family member? 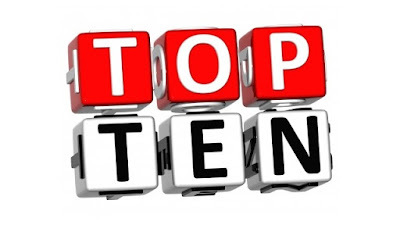 Have you ever shared a Tweet or a Facebook post to help get the word out? If you have, Shiny! Thank you so much. If you haven't...well, there's no time like the present! There are lots of individuals, community organizations, and businesses that might be interested in using The Challenge to promote themselves, but they just don't know about it yet! So, let's get the word out there in the 'verse and make this an extra-awesome Challenge year! Elevator dancing is really awkward when you work in a scientific organization. Overt exuberance is rather rare :) Thankfully I get in pretty early.. Dancing bananas: hilarious and awkward, because.. well.. because. AJ Lauer is in her fifth year participating in the A-Z Challenge, her third year as a co-host. She is the author of Armageddon: Pick Your Plot and has some pretty great stuff in store for this year! 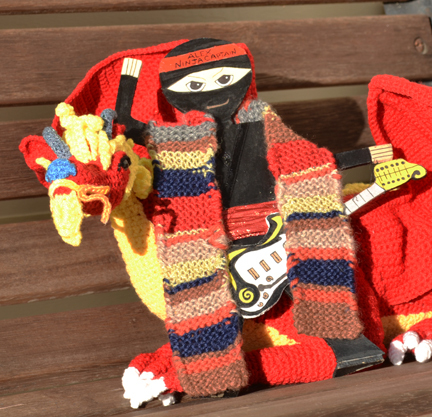 The Linky List opens for the 2016 A to Z Challenge on Monday, January 24! If you’re still contemplating whether you will join us or not, let me give you some really good reasons why you should. There are benefits for those who make the effort. 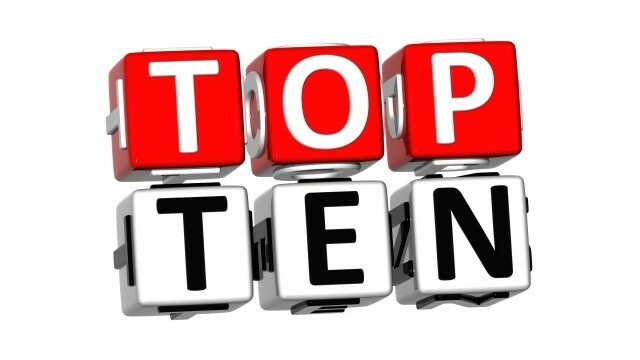 1 – It will stir your creativity. You have twenty-six posts to write for the month – what are you going to say? Will there be images? Will you have a theme? You’ll need to put on your thinking cap (not the one with the foil – that’s so aliens don’t read your mind) and come up with some entertaining or interesting posts. 3 – It teaches discipline. You’ll have to post or schedule one for twenty-six days. That’s six times a week. If you’ve struggled to maintain a regular post schedule, this will get you in the habit. It will also discipline you to visit those who comment and seek out new blogs. 4 – It forces you out of your comfort zone. Is posting almost daily for a month a challenge? You bet! You’ll have to stretch to reach the end. Your blog might be languishing in obscurity, but you’ll be prompted to visit new bloggers almost every day. Coming up with posts and/or a theme will also be tough. But you’ll reach the end and realize – you did it! 6 – You’ll make friends! This is the greatest benefit. You will connect with other bloggers who share your interest. The Challenge fosters a camaraderie that lasts well beyond the end of April. Years from now, you’ll look back and realize some of your very best blogger buddies came from the Challenge. I know what you’re thinking – really? That will happen? Yes, it will! How do I know? 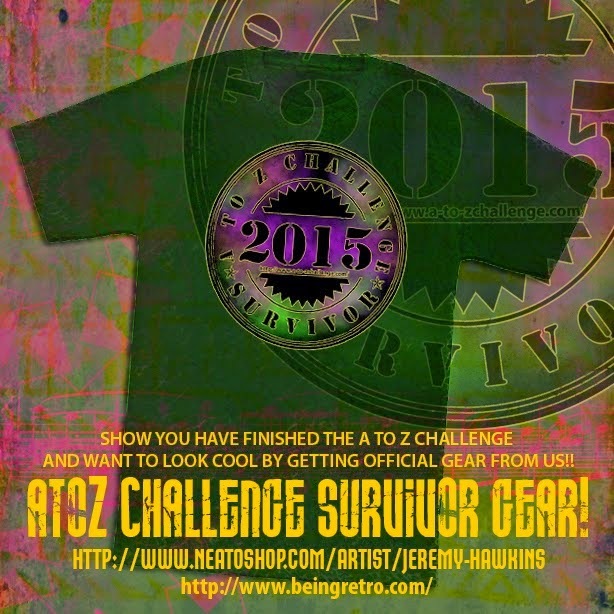 Because in 2010, I participated in the very first A to Z Challenge. There were only a hundred of us, but I am still very good friends with several participants. (And I’ve gained many new friends in subsequent years.) My blog following doubled that month. I learned I could do more than I ever thought possible with my blog. So, what are you waiting for? Come back Monday and join us! #atozchallenge -- Stormy the Weather Gnome talks about A to Z Themes! This post is originally from 1-15-2014 and re-posted with permission. Actually, I didn't get permission from Stormy at all, but since he lives with me, rent free I might add, I took the liberty of assuming he would be okay with headlining yet another A to Z post. Hi. My name is Stormy the Weather Gnome and I'm being used. For the last two years the host of The Waiting is the Hardest Part has been using me as her theme for the Blogging from A to Z April Challenge. She never even mentioned it. I just thought I was at a photo shoot. Anyway, jokes on her, because I'm much more popular than she will ever be. I've been a guest poster on other blogs. I've been quoted on the bathroom wall. 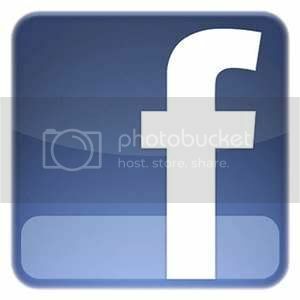 I've been requested to start my own Facebook page. I've been told to stay away from the gate at the White House. So, I'm guessing you want to know what my point is. My point, besides the one on top of my hat, is that sometimes having a clearly defined theme can be the best option for your A to Z April Challenge. Readers will know what to expect of you and come back ... willingly! Are you thinking about a theme for this April? Every year we ask ourselves why we want to take on such a tough challenge. 10. It's a tough challenge. And when the going gets tough, the tough get blogging. 8. We had nothing better to do for the month of April. Nothing. 7. Some of us need to make new friends. We won't name names, but you know who you are. 6. We might just get some new traffic to our blogs. That can't hurt. 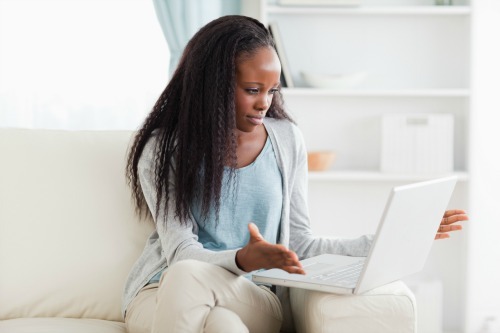 5. Who knows what exciting blogs have been out there that we've been missing all this time? 4. What else are we going to do with all those vacation photos? 3. It's possible we could actually inspire someone with our vast knowledge and skill. 2. PR/Marketing/Promotion opportunities all wrapped up into one challenge! And, the number one reason to take on the Challenge? 1. It's FUN! No, really. It is a whole lot of fun and very rewarding. A to Z is a couple of months away, and your hosts are already working behind the scenes. But blogging is not the only challenge you can face this year! Since so many of our participants each year write book blogs, or plan on having reading-related themes (*raises hand*), I wanted to write about reading challenges today. I have stumbled upon this question recently through the Hungarian version of Goodreads. On that site, people can create challenges of their own, and invite others to participate. The result is literally thousands of challenges, of all shapes, sizes, and difficulty levels. Some invite you to read one specific books; some require dozens; some ask you to read something with a season in the title, etc. For completing a challenge, you earn a badge on your profile. I am a sucker for badges. Pick the challenge for the book, not the other way around. 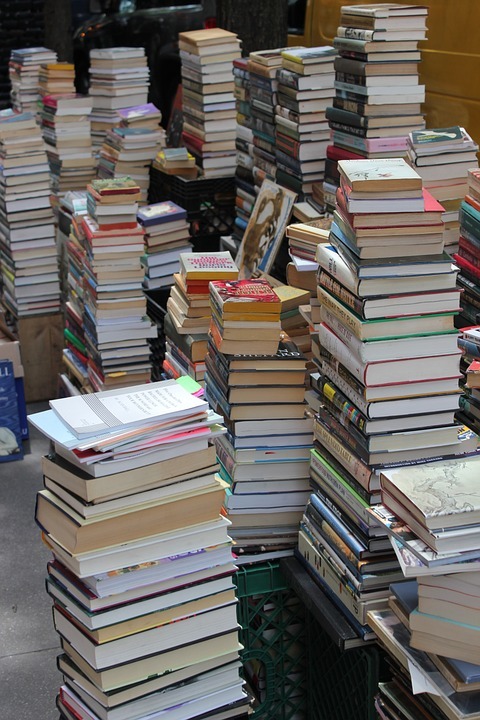 No one should read piles of books they are not interested in, just for bragging rights. There have been articles floating around on social media about challenging yourself in your book diet. Some people suggested reading internationally; there is even a TED talk making the rounds, about reading one book from each country in the world. There are reading challenges focused on diversity (very important! ), and my personal home turf: fairy tales and their adaptations. Emma Watson, everyone's favorite Hermione, just started a feminist book club open to everyone! Some Reading Challenges even have levels of difficulty you can pick. Challenges are supposed to push you, and coax you outside your comfort zone. My advice, though: Be careful - you don't want reading to become a task. Those of you who are in graduate school probably do way too much of that anyway (my reading challenge is called Dissertation Lit Review...). I started blogging nearly 8 years ago at Daily (w)rite. 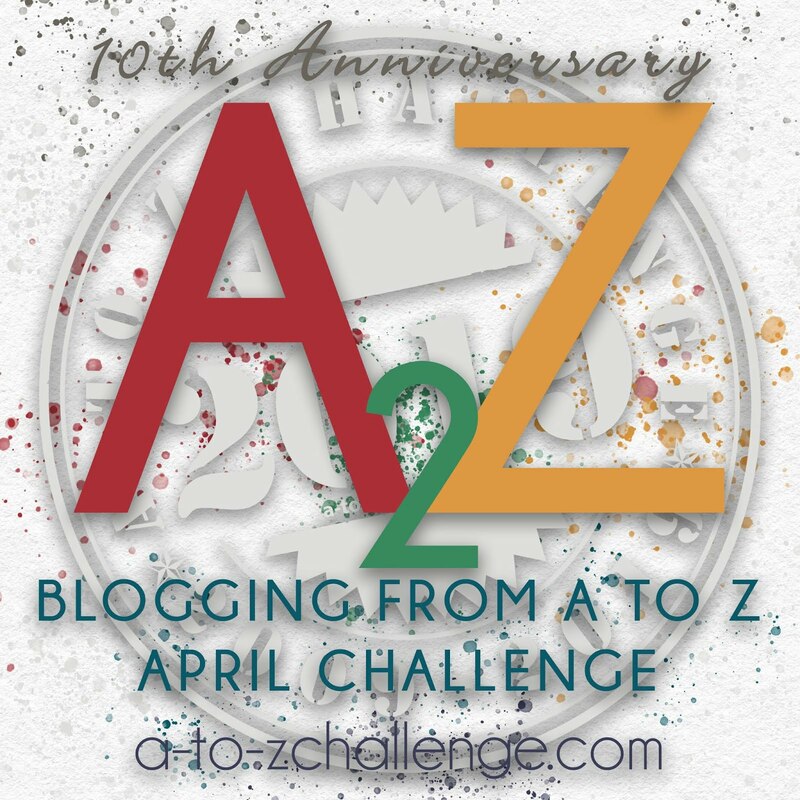 It's been a long and rewarding journey, but one of the best things I've ever done on it is the A TO Z Blogging Challenge one April five years ago. With encouragement from Lee and Alex, I signed up as a co-host the year after, and over the next three years, the challenge of co-hosting kept me insane nimble during the first few months of the year. In 2015, I took a break, but am back on the team again in 2016! For those of you doing the A to Z Challenge this year, you already know what I'm going to talk about. You guys on the fence, and if you're new to the idea of a blogging challenge, here's why A to Z Challenge rocks out and why you need to sign up on 25th Jan 2015! 1. Discipline: Before the challenge, I was a pantser-blogger, riffing off posts as and when they came to me, with no idea of a schedule. But blogging 26 days in April taught me the value of pre-planning, scheduling and giving themes to my posts. If you're a blogger, you need discipline to survive long-term. 2. Commenting: Most new bloggers think if they write a blog, people would visit. Not true. The successive A to Z challenges have taught me the value of commenting. As we comment on other bloggers, we get to know them, and they, us. This creates community. The frenzy of all the April challenges have taught me that the more I comment, the more people I'm going to get to know, the more friends I'll have, and as a corollary, the more buzz on my blog. Once you take part in the challenge, you are forced to return comments and lose your inhibitions. 3. Self-knowledge: The A to Z challenge taught me that I'm actually not that bad at flash fiction: I wrote 26 stories in 26 days that year and got a book out of it: the A to Z Stories of Life and Death. More importantly, I gained confidence in my ability to write stories on the spur of the moment, I got closer to my voice as a writer. Other bloggers have gone on to compile their blog posts into books, too. 4. Audience: My followers and hits saw a spike during that first challenge and each challenge afterwards. 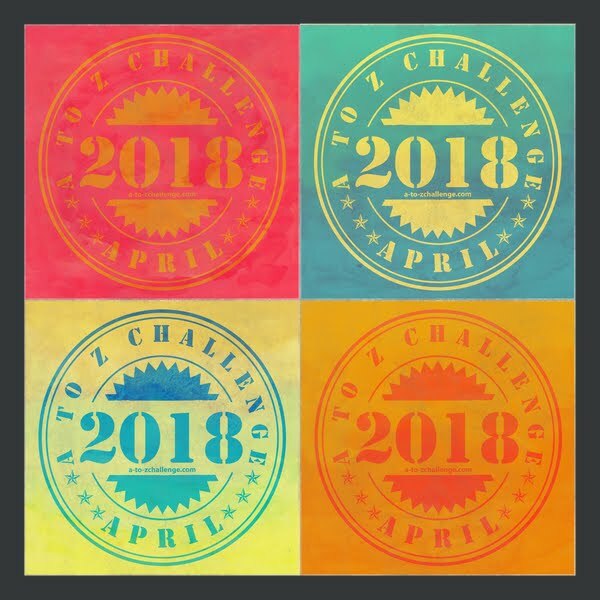 That behemoth A to Z linky list is amazing also because it stays up year-round, and you can go on a post-challenge road trip! If you possess a craft or skill that you sell online, doing a good A to Z Challenge can be a fantastic marketing strategy. 5. Friends: One of the best rewards of the blogging challenge has been the number of friends I've gained. 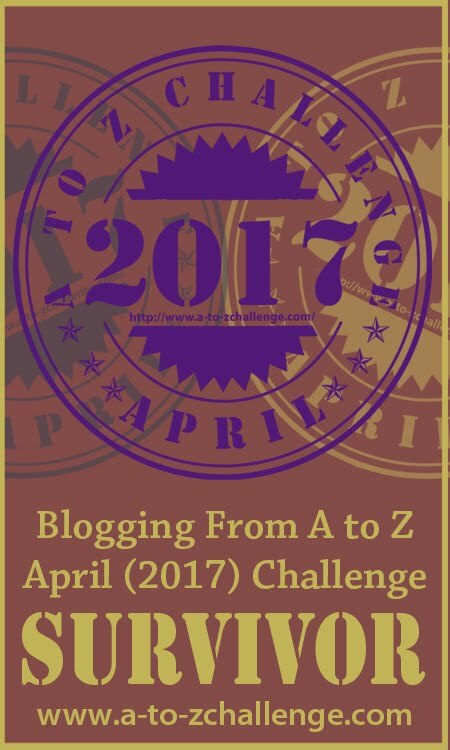 I know that I became good friends with several dozen bloggers over the years simply because of the A to Z Challenge. 6. Adrenalin: It sounds easy, write a post a day for 26 days in April, and visit at least 5 blogs a day. You'll be surprised at the number of people who fall behind or drop out. Completing the challenge and meeting all those people can be a huge adrenalin rush, and it gives a shot in the arm not just to the blog but also to you! I know I'll run around in April like a chicken on an overdose of caffeine. So, there you go. Get ready for the Adrenalin rush, the madness, the followers and friends, the exposure and the mayhem for this April. 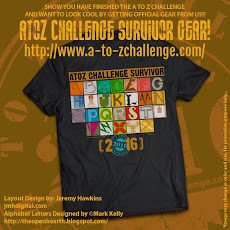 And of course, let's not forget the survivor badges and gear! Get your name on the list the minute it opens! For those who have made AZ plans already, what can we expect this year from your blogs? What plans do you have to grab a high seat on that list? 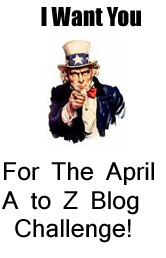 What advice would you give to someone joining the A to Z April Blogging Challenge this year? It’s 2016, and soon we will enter a new Blogging from A to Z Challenge. I’m proud to report that this will be my fifth consecutive A to Z. Back in 2012, I remember how nervous and apprehensive I was about my first challenge. How in the heck would I blog for 26 days? But even though I had reservations, I knew that the challenge would be the perfect way for me to bring attention to my blog, Precious Monsters, which was new at the time. I was right. I couldn’t believe how many visitors were coming to my blog, and I had a great time reading and responding to the many comments. If you work A to Z, it works for you. Visit the blogs; leave comments; have fun, and you will be rewarded with bloggers stopping by your blog to see what you have to say. 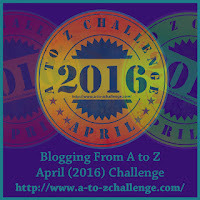 One thing you will notice during the A to Z Challenge is that every blogger has their style. Some bloggers are extremely organized, put informative content in their posts that are the result of lots of research, and schedule their posts way ahead of time. As a Type-A personality who wants everything perfect, even though it never is, I’m jealous of these bloggers. I want to be organized. I want to include posts that are researched and filled with information. I want to schedule my posts way ahead of time. But every time I try, I’m good for the first couple of weeks. Then, I'm right back to my frantically attempting to keep up. It’s always the best-laid plans for me when it comes to the challenge. I always complete the challenge, don’t get me wrong, but never the way I want. So what do you do if you keep trying but don't make it? Beat yourself up for it? I'm proposing that you don't. In other words, try to stick to your plans for Blogging from A to Z, but don’t feel bad if you fail. The event is a "challenge", but it's not meant to be stress-inducing. That said, you would ease most stress if you do schedule your posts. So do give it a try. My goal is to write one blog post on Saturdays and one blog post on Sundays on up until the event begins. If I stick to my plan, I’ll be done by the beginning of April. I’ll have to work hard to stick to my schedule. I’m a busy article writer, and I’m the author of the Pierce vampire books. (They're a mixture of horror and paranormal romance. You can try my series for free because book one is permanently FREE.) Of course, because I write about vampires now, my A to Z theme is vampires! It’s a new year, and it’s time for me to start again. However, if I don’t follow my plan for scheduling my posts – there will be no negative self-talk about it for this Type-A. If I don’t make it, if I’m scrambling once again to get all my posts up, in 2017, I’ll try again to be more organized. Sign-ups for the Blogging from A to Z Challenge begins on January 25. So stay tuned! Our thanks to Jolie Du Pre for this excellent advice. What are some methods you've used to prepare for the Challenge? Do you plan ahead of time? Welcome to 2016! How has the year been treating you so far? Are you ready for your normal schedule to resume? Do you still need time to recover from the holidays? Here at the A to Z Challenge, we are working like busy little bees in the background to continue the A to Z excellence. We are in full on planning mode right now to making goals, making lists and filling in the details. What are your goals for the A to Z Challenge for 2016? Make sure you set deadlines for your goals, otherwise you won't get them finished in time. Plus, once you reach a goal, you can cross it off of your list and celebrate that victory! Ok, so maybe you can't kill everyone in the room like James Bond but crossing off items on your to do list is very satisfying. Another great thing about setting goals early is that as you are working through them you'll see where you need more work or you'll see what won't work. Starting early means you have plenty of time to change directions, change plans, or even start over. Don't let procrastination be your guide for the 2016 Challenge. I've seen alot of well intentioned bloggers quite the challenge because they couldn't keep up. Which makes me sad. The line I like the most in this quote is "expect to win." It's great, isn't it? If you set out to win and expect to win, you're bound to win, it's all in your head. When I was a girl my piano teacher used to encourage me by giving me a pretend confidence pill. If I had only swallowed that confidence pill I might have become a better piano player. Instead, I listened to all the bad notes and focused on my incorrect finger positions rather than on the good bits that I played. What I've learned from my piano teacher is that whether I win or not is all in my head. I use this self talk every time I start a project. To be sure, Teddy might not have participated in the A to Z Challenge but I bet he knew a thing or two about goals and deadlines! Don't let April catch up on you unawares. Start planning your part of the challenge now: choose your theme, collect your photos or your images, set up your computer folders and schedule your writing time now so when March and April come around you're ready. Don't end up like Scar. Be ready for the Challenge. I want you to complete it. I plan on having such an awesome 2016 Blogging Challenge that Morgan Freeman should narrate it.